Needing money sooner rather than later can feel like being stuck between a rock and a hard place. While you could try to pick up another job, chances are you wouldn’t make money as quickly as you need to. 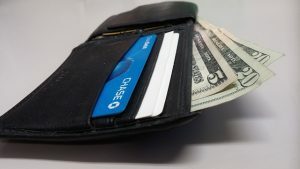 If you’re worried about being late on a bill or missing a payment altogether, you’re probably looking for any and all ways to bring in some extra income, quickly. If you need money now, you’ve come to the right place. While it may seem hopeless, there are many ways you can quickly make money to ease your financial burden. Keep reading to learn about 7 different ways you can make money quickly. When you’re in a financial crunch, one of the quickest ways to bring in extra money is to sell things you no longer need. Chances are that over time you’ve held onto items that you know you’ll never use again. Items like clothes, shoes, household products, and even electronics can all land you some serious cash. You can sell your unused items on websites like eBay, eBid, Craigslist, and OfferUp. But, if you need money ASAP, your best bet is to pawn or sell valuable items at a pawn store. Most pawn shops offer same day cash. Do you have extra space in your home? Instead of letting a room in your home go unused, you can make money by renting it out. By becoming an Airbnb host, you can offer people a short-term place to live. Airbnb is very popular amongst business travelers and people traveling on vacation. Depending on the size and amenities available in the room for rent, you could easily make $100+ for each night your home is rented out. Be sure to check local listings to see what comparable listings are going for in your area. If you’ve got extra time on your hands, you can spend it taking surveys that will earn you money. Websites like Swagbucks and Survey Junkie pay users a decent chunk of money for completing daily surveys. Surveys typically pay between $0.50 and $2.00. Though not a lot of money, surveys take less than 5 minutes to complete, which means you can knock out dozens of them a day. Even if you’re hurting for money, chances are you still need to purchase basic items like groceries and household items. Instead of looking for ways to make these items cheaper, why not earn cash back for simply shopping? Using these apps, you can earn money on items that you already plan to purchase. Get paid to shop and minimize your financial hardship. The traditional delivery driver job has been turned on its head, thanks to apps like Uber Eats, Postmates, and DoorDash. As a delivery driver, all you need is a car to make money. When customers place an order at a local restaurant, you’re responsible for picking it up and delivering it in a timely manner. As a delivery driver, you make your own hours and work when convenient for you. You take home 100% of what you earn each time you complete a delivery. Depending on how often you work and the volume of orders that you complete, you can easily make an extra $100 in a single day as a delivery driver. Know someone who needs pet-sitting or babysitting services? Do you have a knack for cleaning cars or homes? With these side jobs, you can easily make an extra $100 in just a few hours. What’s great about these services is that you don’t have to commit to them full time. Instead, you work until you’ve made the money that you need. As a personal shopper for Instacart, you can make money by grocery shopping for people in your community. This is a great opportunity to make extra money on your own time and schedule. If you know your way around the grocery store and know how to pick good produce, this can be a fun side-gig to try. The average size of your order, miles per trip, and the tips you earn all determine how much money you can expect to make. Typically Instacart workers make $15 an hour. Making money rarely comes easy, but when you’re in a bind, these options can really come in handy. If possible, consider several of these money-making ventures so that you can maximize your earning potential.